Get the Capital you need by leveraging the equipment you own. We can accept any credit score. The decision is base primarily on equipment values. 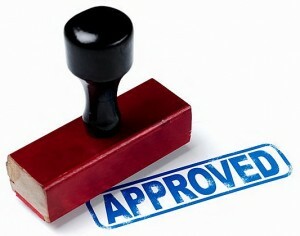 Our most popular program offers $10,000 to $400,000 approvals within 24 hours. Funding can be in as little as 2 days. Acceptable equipment for a sale and leaseback must have at least a $10,000 wholesale value. We can use multiple items but each item must meet the $10,000 minimum value requirement. Vehicles, Construction Equipment, CNC Machines and other Heavy Equipment work best. The equipment should have a readily identifiable resale market. Highly specialized equipment that does not have an identifiable liquidation value would not be qualified, or may have a more conservative loan value. You can expect between 40% of the wholesale value of the equipment and 80% of the Fair Market Value, depending on the type of equipment. You must own the equipment free and clear, or have a very small balance that we can pay off in the transaction. Proof of ownership is required. Titles are acceptable for titled equipment. For non-titled equipment we generally look for the original invoice or proof of paid loan or lease. There are alternative methods we can assist with on a case by case basis if necessary. You can apply online and fax or scan over the equipment details by CLICKING HERE, then fax or scan and email the equipment details. Or, if you prefer to download a PDF Equipment Lease Application and Asset list simply Click Here. You can fax all documents to (877) 828-8980, or scan and email it to Credit@CoastalCapitalGroupInc.com. You will receive a confirmation within 2 business hours and a detailed term sheet within 1 business day. You can speak with one of ou r Certified Business finance Consultants anytime, at no charge, to explore which program works for your situation. *Other programs are available for higher funding levels and better credits.